In partnership with Dentons Canada LLP, please join us on Tuesday, February 5, 2019, as the CPR presents its new Rules (to be rolled out in February 2019) to interested members of TCAS. Both the President & CEO of CPR (former GC of Mastercard Worldwide), Noah Hanft, and Senior Vice-President, Olivier André, will be presenting. The presentation will be a “Lunch and Learn” style panel from 11:30 a.m. to 12:30 p.m. This program is eligible for Substantive CPD credit for members of the Law Society of Ontario. 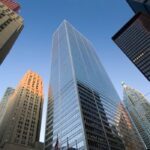 In an increasingly volatile world, Toronto is a safe and sophisticated arbitration venue.